22-year-old Lauren Margison first attracted attention with her vocal abilities when she joined the Canadian Childrens’ Opera Chorus in 1999 at the age of seven. Quickly promoted to the principal chorus of the CCOC (2000), usually reserved for young singers between the ages of 13 and 17, Lauren appeared in the mainstage production of the Canadian Opera Company’s production of ‘La Boheme’ in that same year, resulting in an invitation to sing a solo recital at the International Childrens’ Festival at the Harbourfront Centre (Toronto) and an invitation to make an appearance on The Tonight Show starring Jay Leno. Since that time, Lauren has performed extensively to critical acclaim both in Canada and internationally specializing in classical, jazz and pop repertoire. Some highlights to date include performances for Opera Ontario (2005, 2006, 2007, “..the spicy, seasoned voice of a 30-year-old..”, Hamilton Spectator, 2006), the TD Toronto Jazz Festival (2006, 2007), The Beaches Jazz Festival (2007, 2008, 2009), The Ottawa Chamber Music Festival (2006), The Cincinnati Pops (2007), Hannaford Street Silver Band (2010), the noon hour concerts at the Four Seasons Centre for the Performing Arts, Richard Bradshaw Amphitheatre (2011, 2012), Ottawa Choral Festival Gala (2011), and the Venetian Ball (2011) under the baton of Marco Armiliato, (fundraiser for Villa Charities, Toronto) held on the main stage of the Four Seasons’ Centre for the Performing Arts. She was chosen as one of four singers to perform the music of Gordon Lightfoot for Gordon Lightfoot at the lifetime achievement Heart and Vision Awards ceremony and concert (2011), and was a featured soloist on the City TV Christmas Carol Sing which was aired across Canada in December 2011. She has shared the stage with such distinguished artists as Gordon Lightfoot, Rufus Wainwright, Russell Braun, Isabel Bayrakdarian, Measha Brueggergosman, Nicole Cabell, The Canadian Opera Company Orchestra, Louise Pitre, Sheila McCarthy, The Tenors, Jackie Richardson, Rex Harrington, John Fanning, Elaine Overholt, and her father, operatic tenor, Richard Margison. In addition, during January of 2007, Lauren appeared as a guest artist with Argentinian operatic tenor, Jose Cura, at the Pavilhao Atlantico in Lisbon, Portugal, performing before an audience of 8000 people and a television audience across Europe. Lauren was also part of the 4-member female vocal group, ‘The Real Divas’ (www.BillKingMusic.com). Their first CD, ‘Café Society’, was released for international distribution in June, 2009. After a successful tour of British Columbia and appearing as guest performers on the CBCTV broadcast of the National Jazz Awards in May, 2009, the young women have appeared around the country, including a full concert in July, 2009, at the Beaches Jazz Festival. 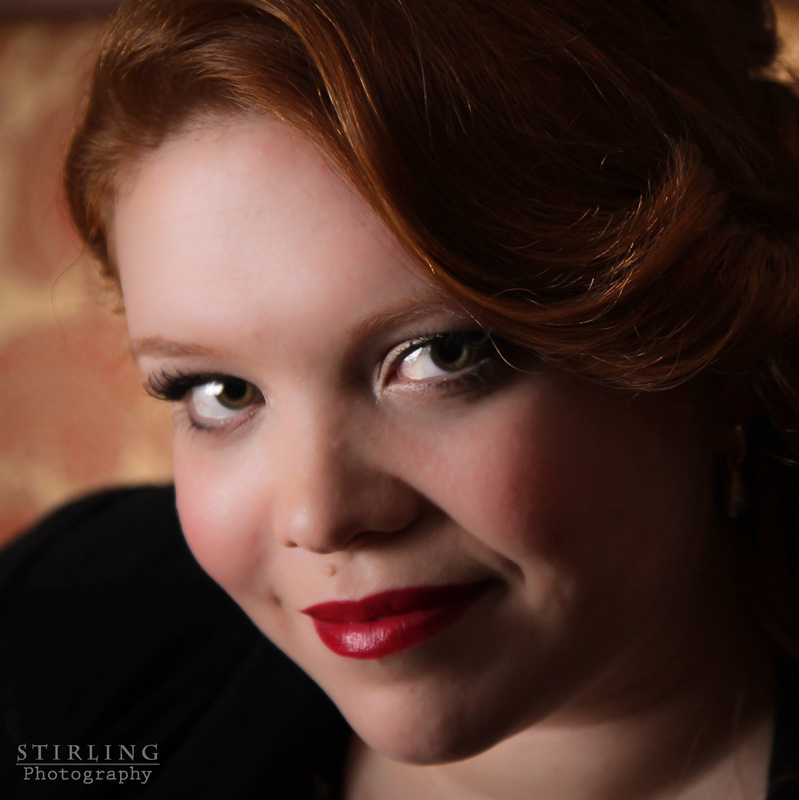 In 2011 she attended the prestigious Castleton Festival in Castleton, Virginia, the brainchild of internationally acclaimed music director and composer, Lorin Maazel, as one of the youngest participants in the vocal division, and in August 2014 was the youngest member of the Highlands Opera Studio, run by Valerie Kuinka and Richard Margison.